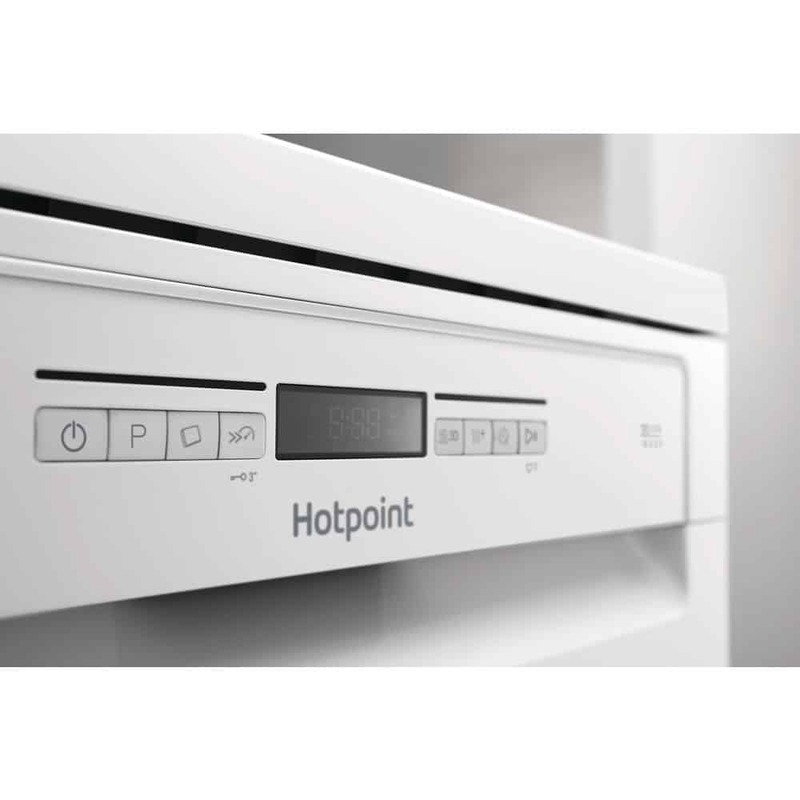 Hotpoint ULTIMA Dishwasher Review – I have had no end of problems with our old dishwasher so was overjoyed to be able to review this new spangly freestanding white one from Hotpoint. It’s an ULTIMA HFO 3P23 WL for reference. 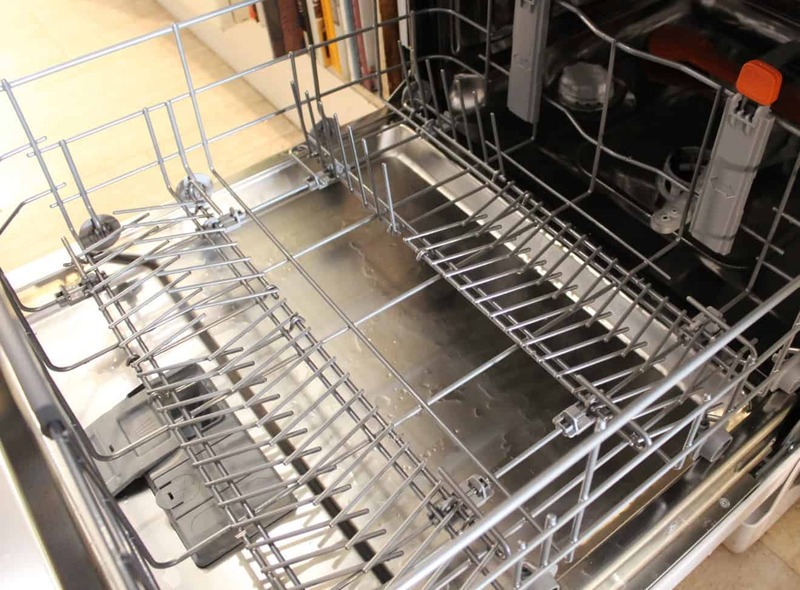 It has three trays, two regular deep trays and a narrow cutlery tray at the very top. Now, you may already have one of these so they are old hat to you, but I think this is a genius idea as then there is no need for a cutlery caddy. No cutlery caddy means more space in the deep trays which I always need! 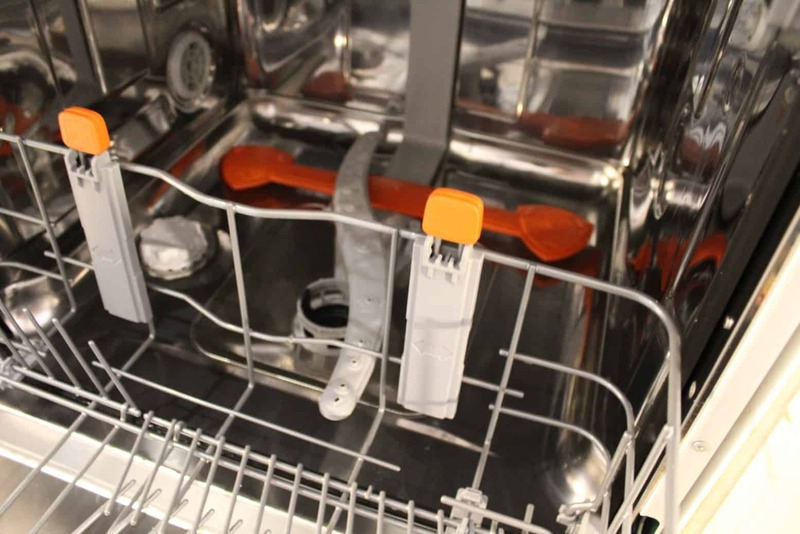 You can line up your cutlery neatly to be washed or you can chuck it in willy nilly, depending on your OCD levels and it pretty much takes care of itself. The only thing you need to have a care about are the spoons as you can end up with puddles of water. It’s no drama to put them the right way up though. Oh, while I am telling you about the cutlery tray, you might like to know that you can concertina it, in order to get taller glasses onto the tray below. Have a look at our video review if this is double Dutch to you! 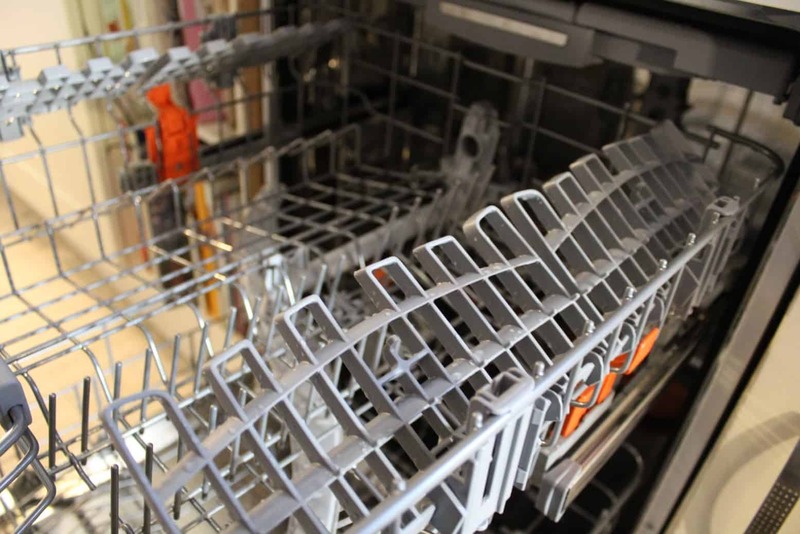 There are several components in the Hotpoint dishwasher that you can adjust to your own particular needs. I have already mentioned the concertina cutlery drawer, but there are more. 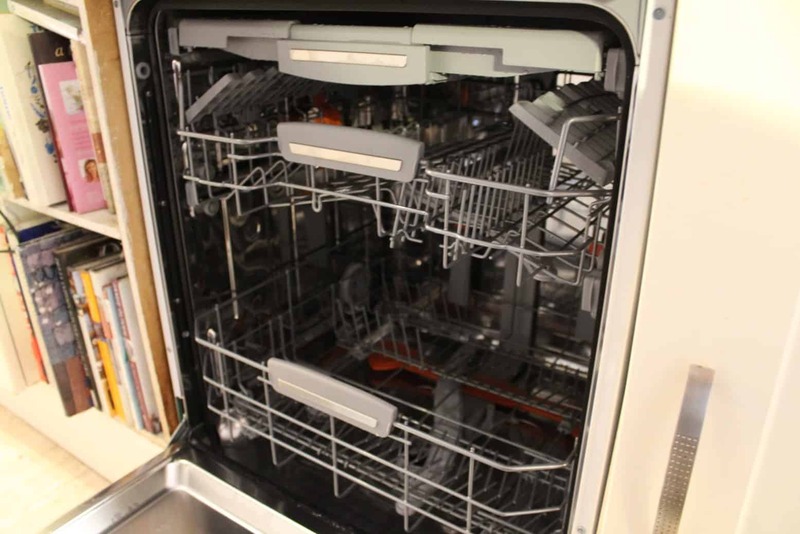 You can easily adjust the height of the middle drawer to accommodate larger items below (we have large dinner plates so this works well for us). 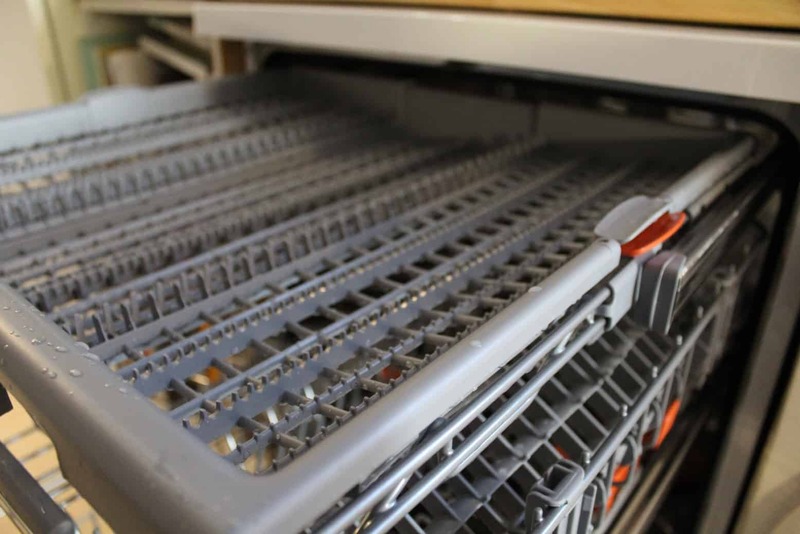 You can also snap the plate racks up and down on both trays, to with stack plates or have a flat surface for cups and bowls. All in all, I am very happy with it. 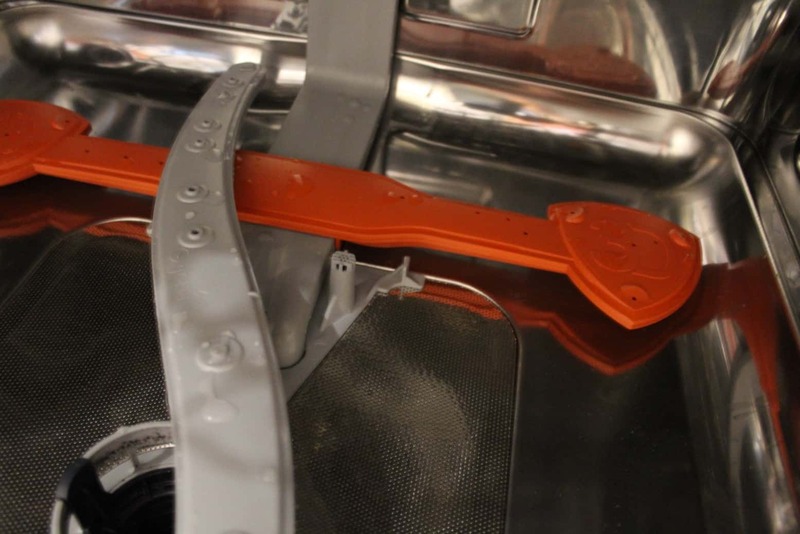 It gets everything squeaky clean and comes with lots of flexibility so you can personalise the machine to make it work to your own preferences. 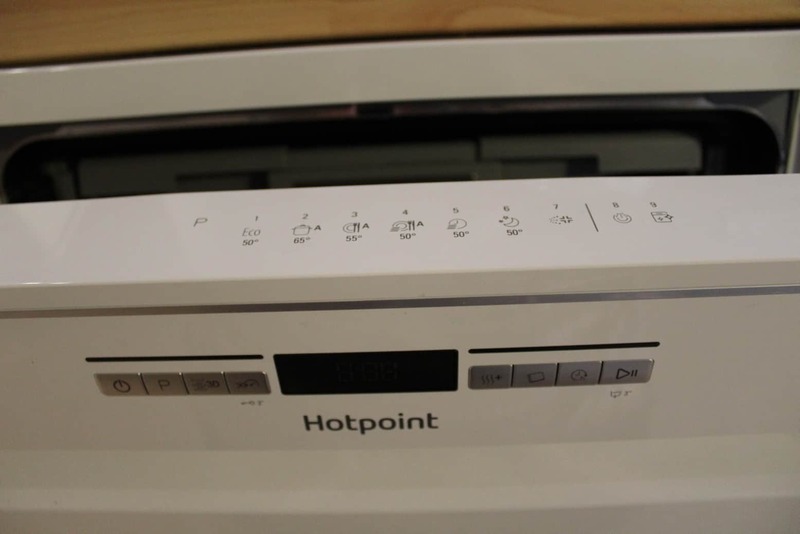 Hotpoint sent us the ULTIMA HFO 3P23 WL to review free of charge, but all the opinions expressed – as ever – remain my own.